Music can provide a space for healing, feeling and thought. Following the terrorist attacks in Paris, including at a show in that city's Bataclan concert hall, we were compelled to play music with a meditative tone, songs that allow space and time for reflection. A tune Bob Boilen found himself playing all weekend was by Hiya Wal Âalam, a band featuring members from Tunisia, Palestine and Sweden. It's culture-blending music and perfectly pensive. Robin Hilton's choice of a song by pianist Goldmund gave him some space for moments of solace as the news unfolded this weekend. NPR Music writer Ann Powers calls in to talk about the inspiration behind her Twitter hashtag #livemusicheals. 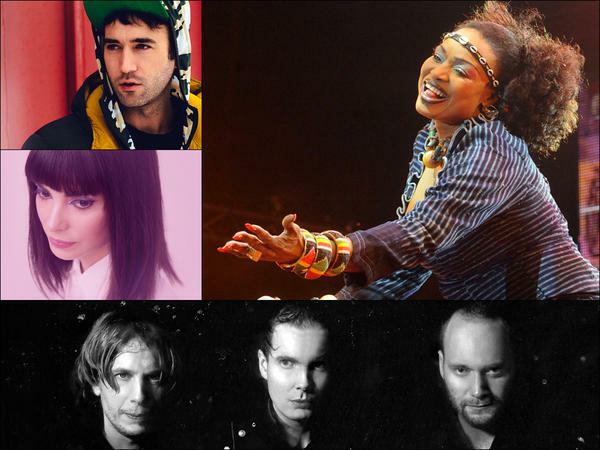 She remembers her own special live music moment with the uplifting Malian singer Oumou Sangaré and Robin shares his life-affirming experience at a Sufjan Stevens show. A song from Eagles of Death Metal closes our show with humor and heart, reminding us that even in tragedy, music can provide joy.